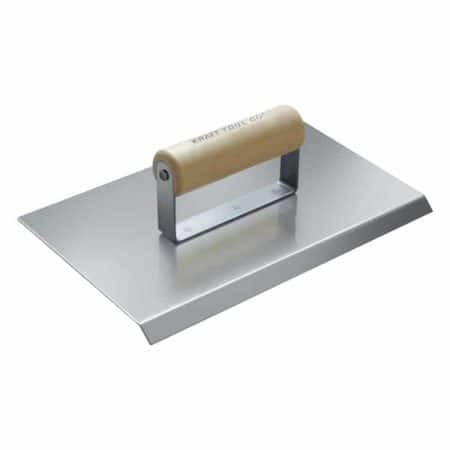 A chamfer edge on a concrete is a sloped or angled corner made for improving the aesthetical appearance, safety and easily removal of formwork of concrete. 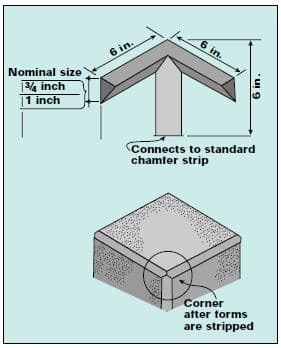 The formation of a sharp nice corner is practically difficult and the concrete at corners is easily chipped, therefore the provision of chamfer edge could protect the corner from chipping. This method of chamfering of concrete edges is done prior to the laying of concrete. The formwork build for the laying of concrete is fixed with the chamfer strip at the edge. Depending upon the requirement of chamfered edge size, chamfer strip are available in many sizes of 1/2, 3/4 and 1 inches. It is made of either rubber or wood. These chamfered strip are installed and concrete is laid in conventional methods. Compaction of concrete must be ensured for smooth and even finish. After 24 hrs , formwork is removed slowly. No further interventions of finishing is required in this methods. 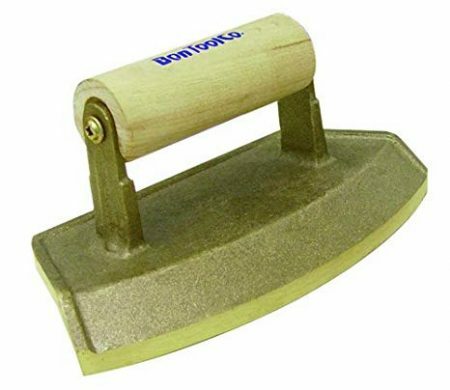 In this method, chamfer edging tools are used for making of chamfered edges. Unlike the above method, this is done after laying of concrete. Once the concrete is placed and ll the surface water is dried off, that is 20 to 20 mins after placing of conventional concrete. With the help of chamfer tools, the edges of the concrete are striked off.